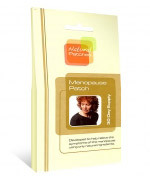 The Menopause Patch is a new drug free product which contains plant extracts rich in phytoestrogens – natural plant estrogens, as opposed to hormone supplements. 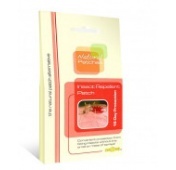 By applying the patch to the skin, symptoms such as mood swings, hot flushes, night sweats, anxiety, depression and loss of libido can all be elevated, providing a wonderful sense of normality. Menopause patch is totally natural. It is not a medicine, but a carefully formulated holistic application which causes no harmful side effects and can be used as frequently as required. Many of the natural ingredients used in Menopause Patch, such as black cohosh and ginger, have been long associated with helping to relieve symptoms of the menopause. 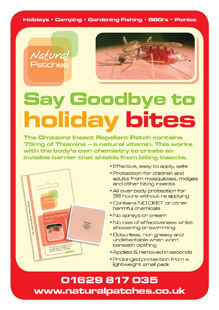 The patch also contains gotu kola which helps stimulate cell growth and oat seed for nourishing the nervous system. Safe and simple to use, each patch is effective for up to 24 hours, offering a natural solution to help better manage symptoms of the menopause. Ingredients - Gotu Kola (Hydrocotyle Asiatica), Damiana (Turnera Aphrodisiaca), Black Cohoch (Cimicifuga Racemosa), Valerian (Valeriana Officinalis), Skullcap (Scutellaria Lateriflora), Oat Seed (Avena Sativa), Ginger (Zingiber Officinale). 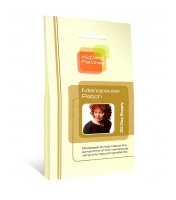 Directions - Place one Menopause Patch on a relatively hair free part of the body (inner arm, tummy or bottom). After 24 hours remove and replace with a new patch in a slightly different position to allow the skin to breathe (if there is any residue of adhesive left on the skin, wash off with warm soapy water).